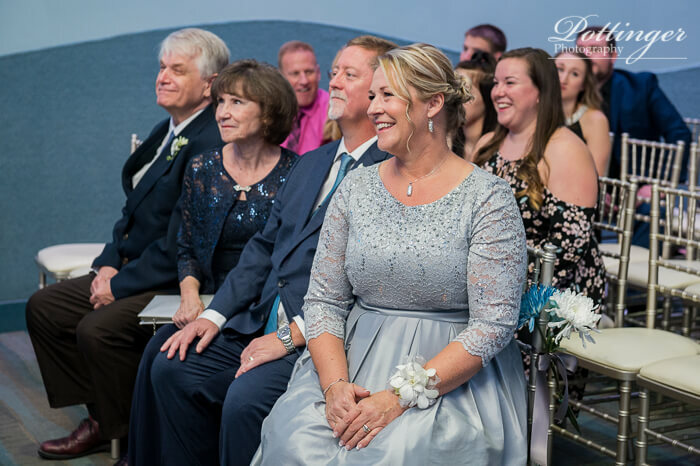 Posted on Monday, October 15th, 2018, by Brenda Pottinger under Weddings. 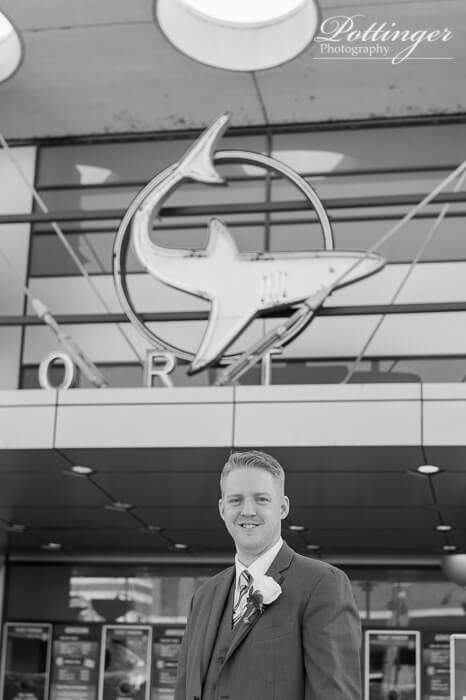 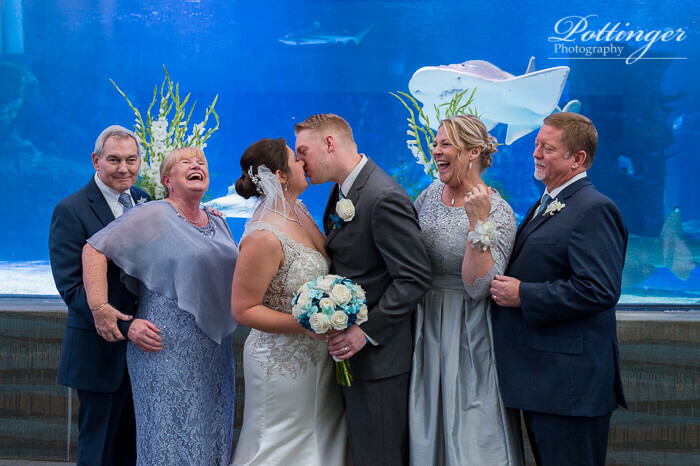 Baby shark, doo doo doo – that is what I wanted to sing all day! 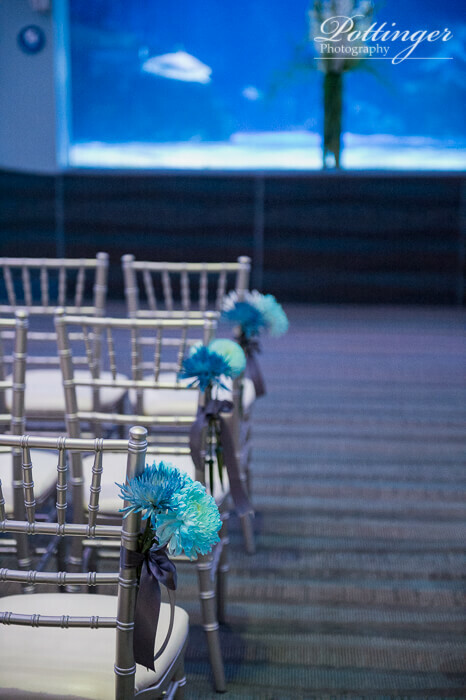 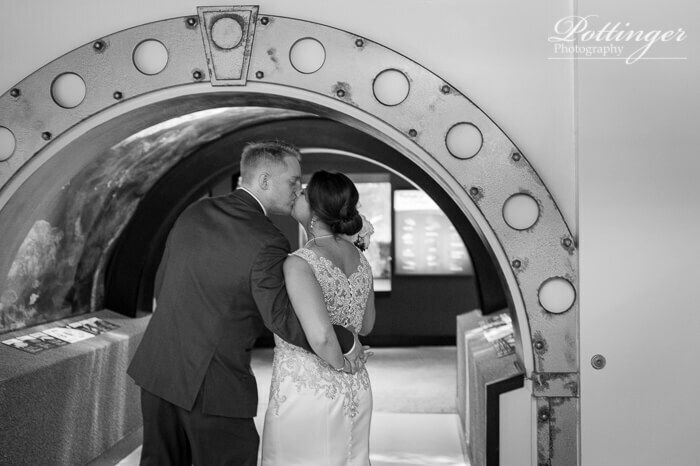 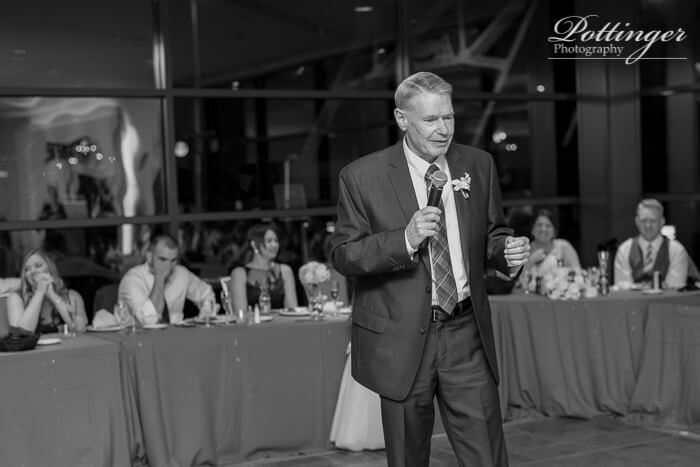 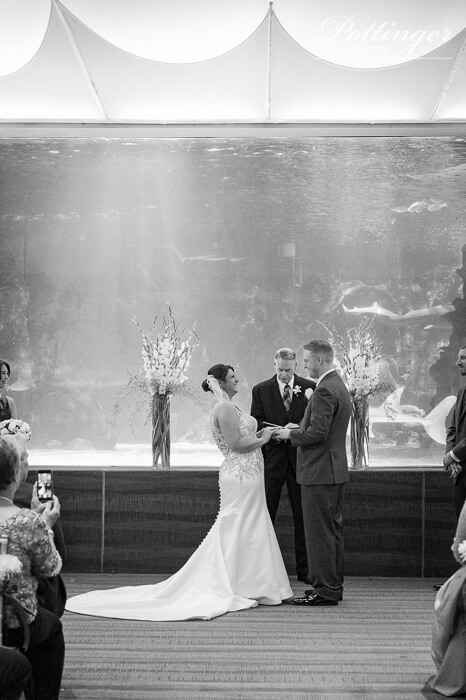 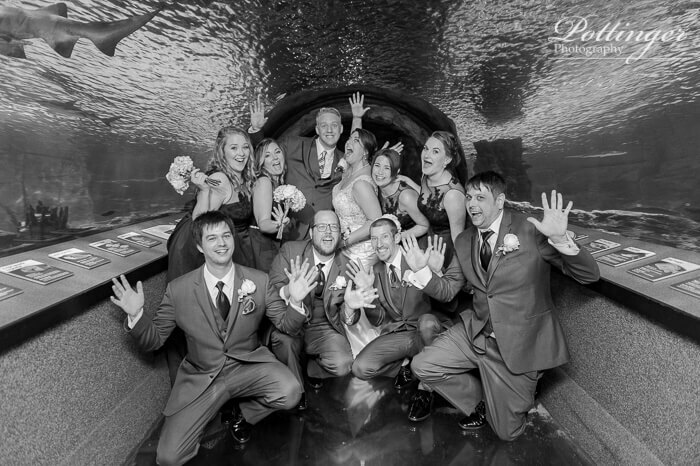 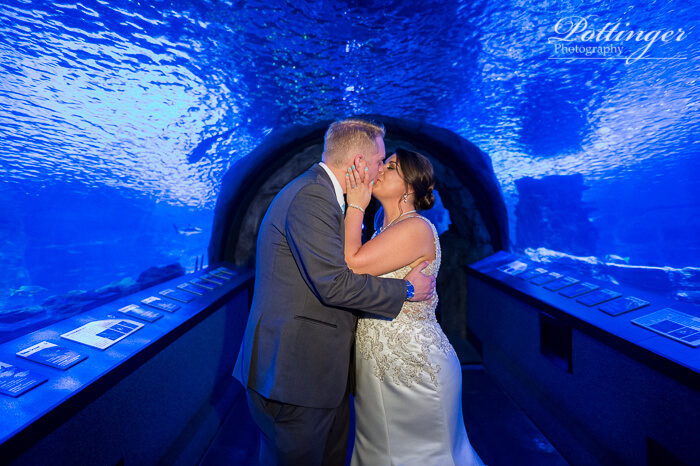 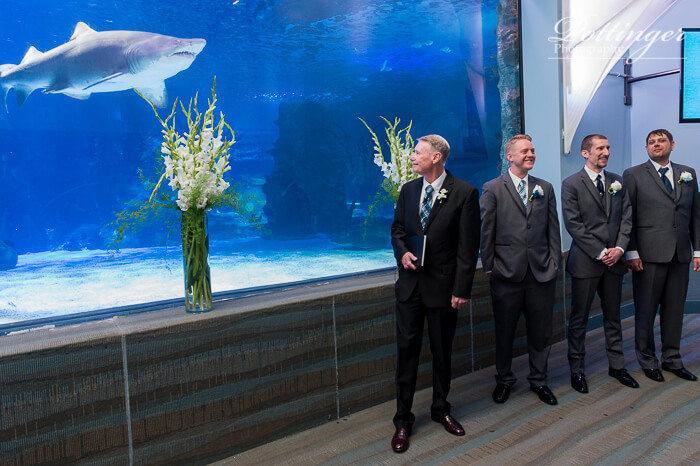 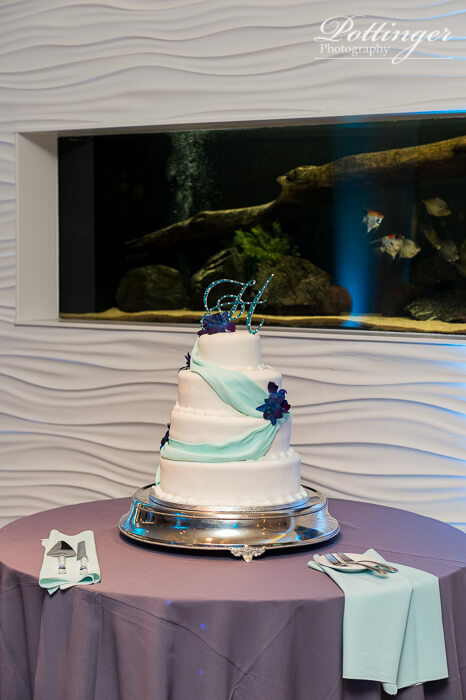 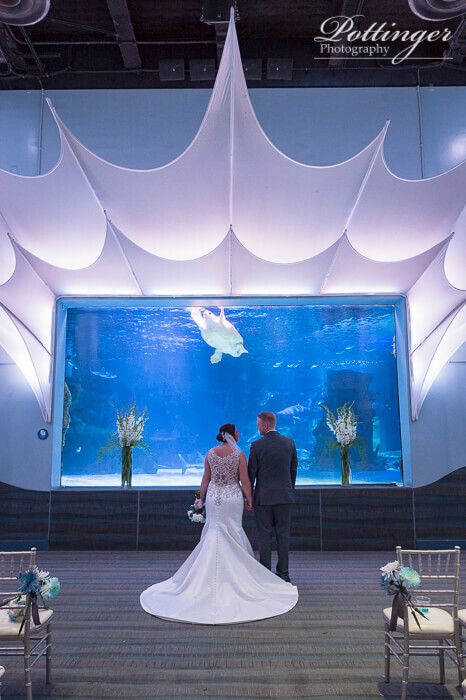 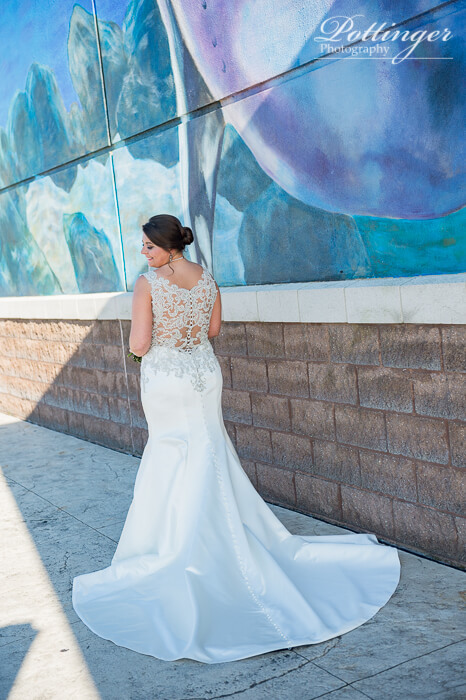 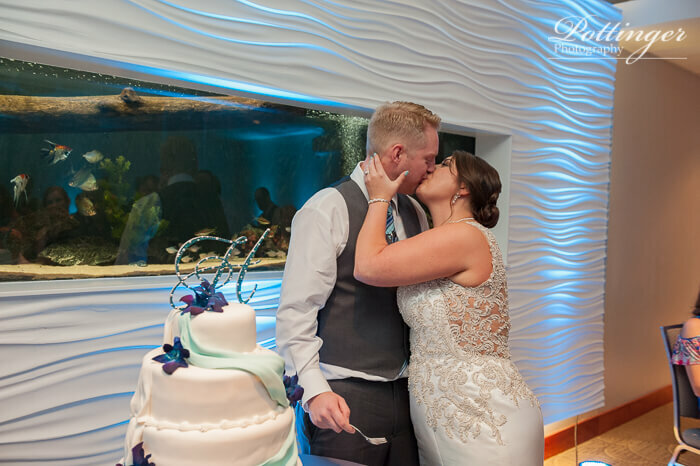 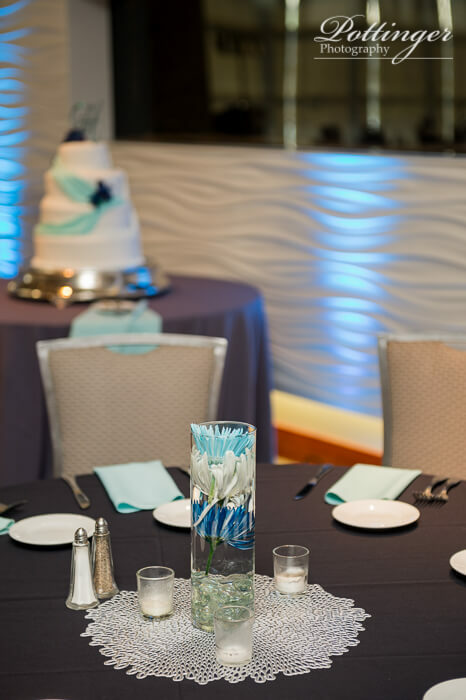 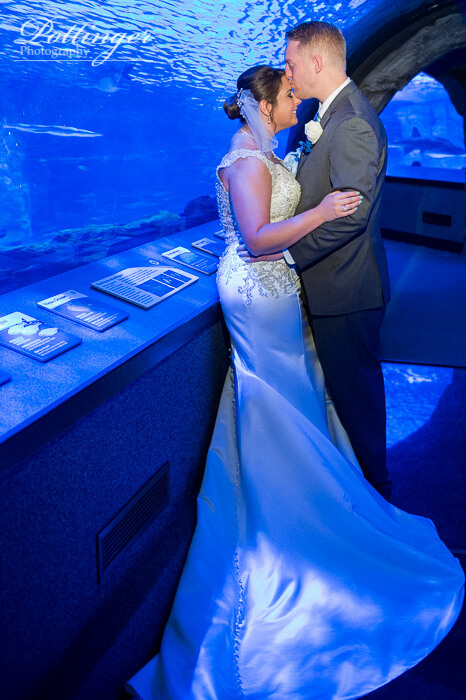 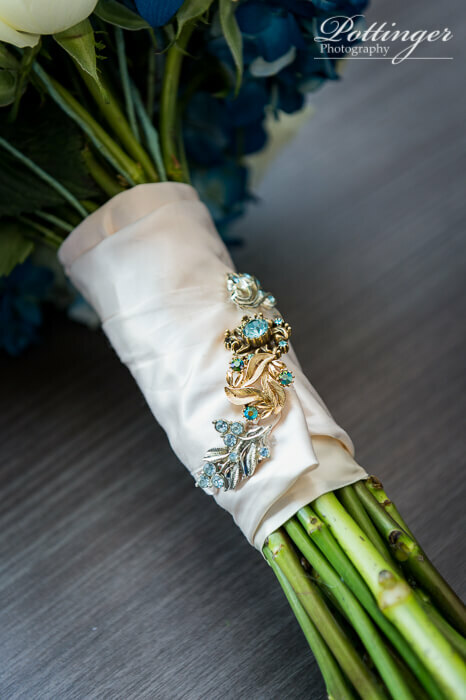 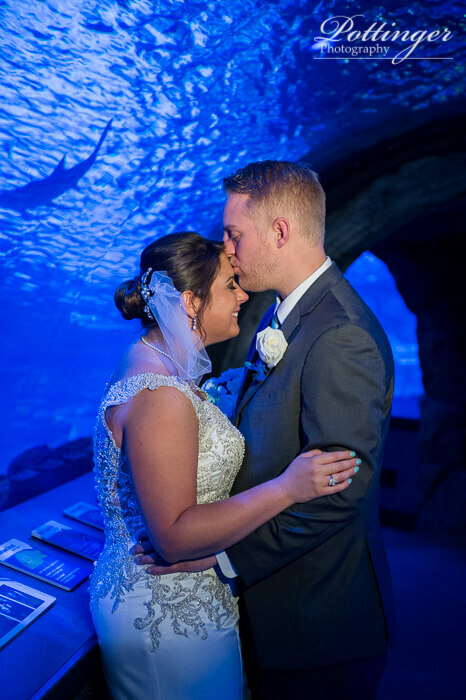 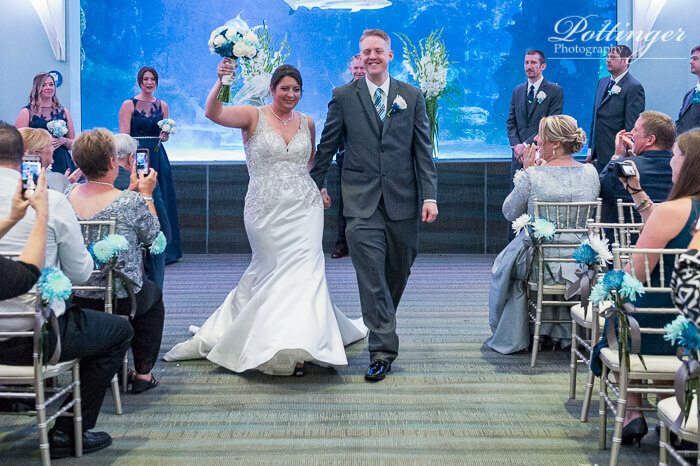 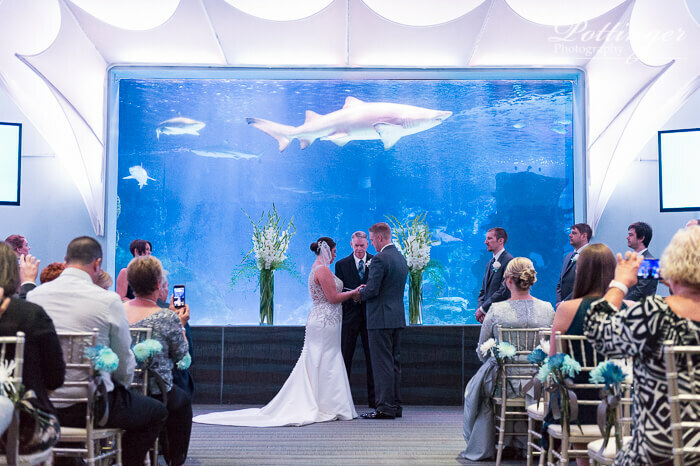 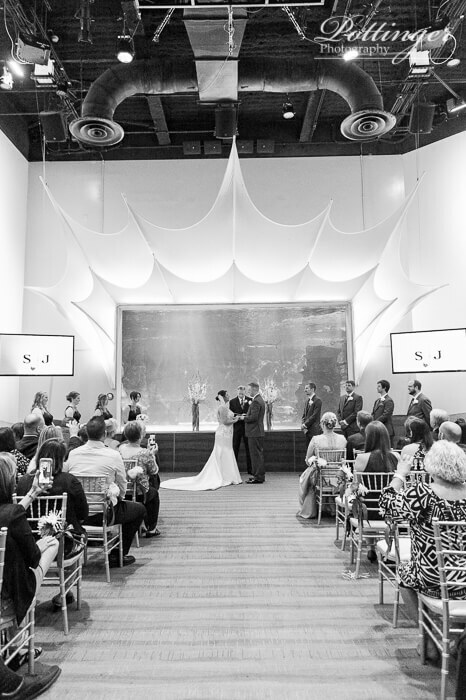 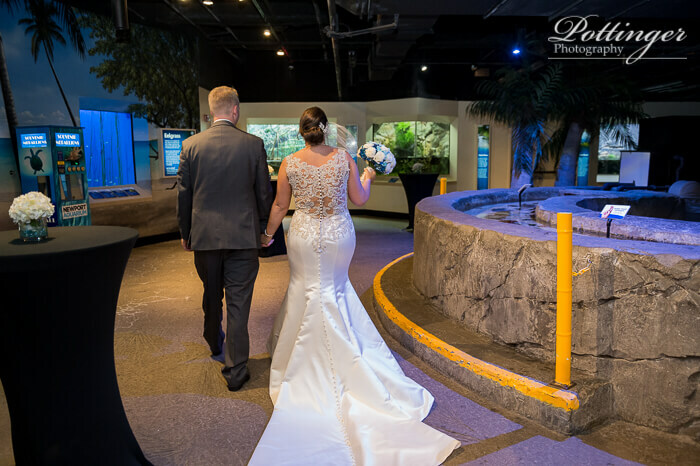 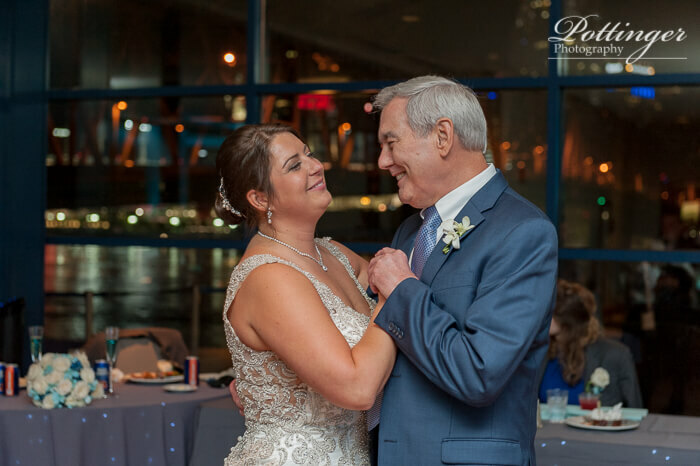 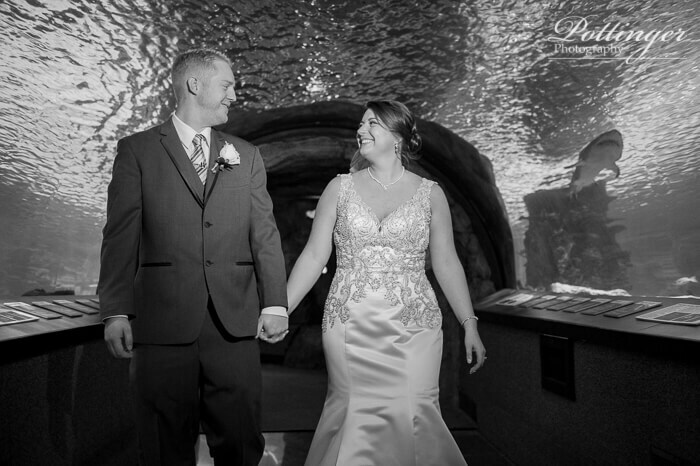 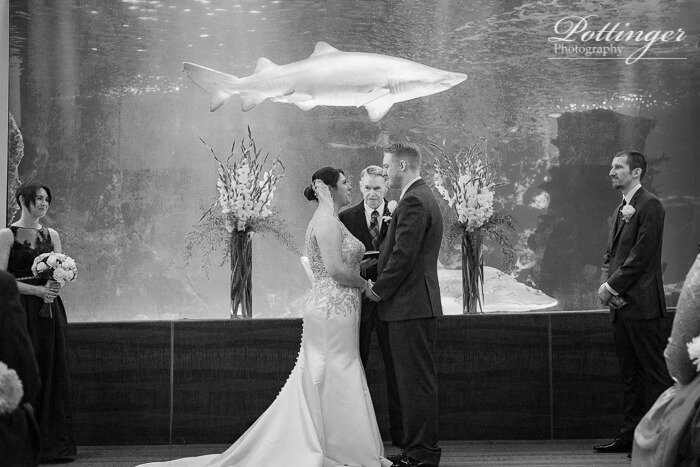 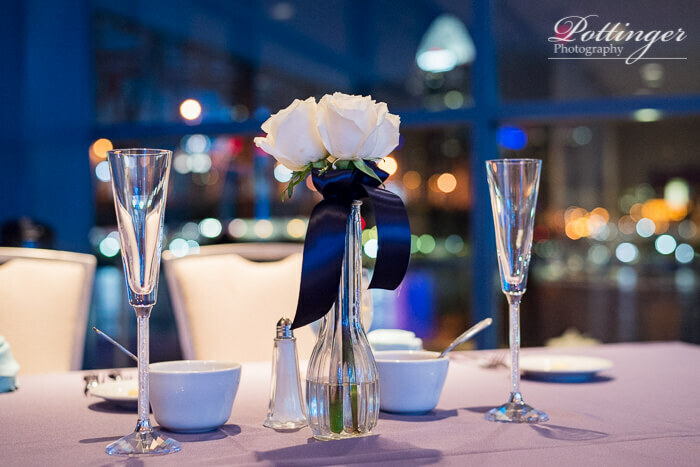 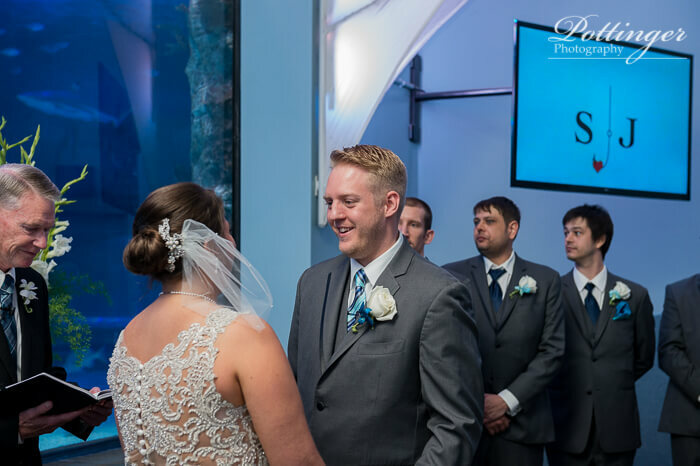 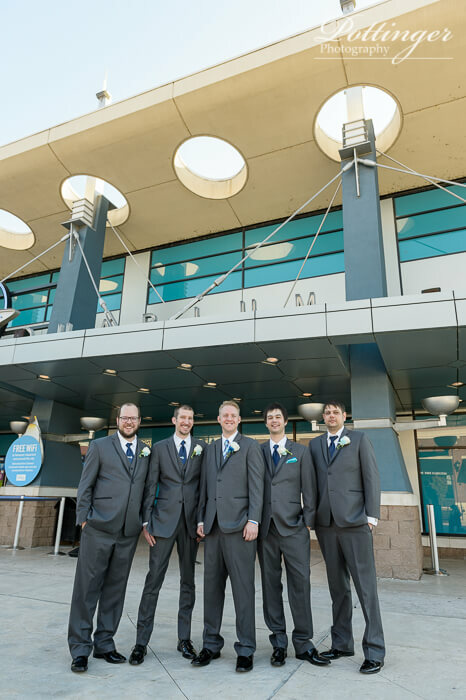 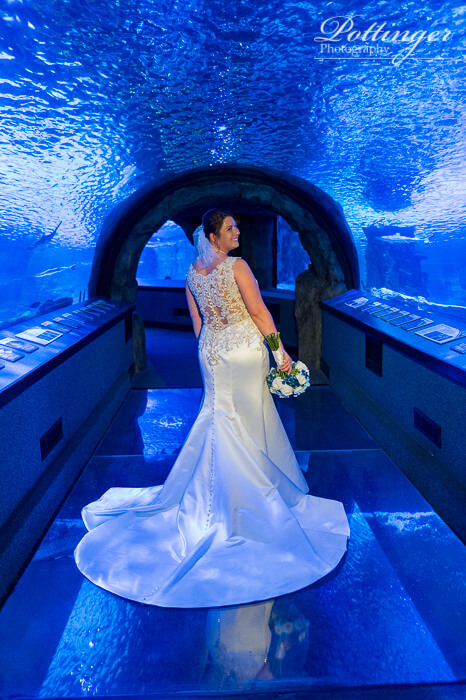 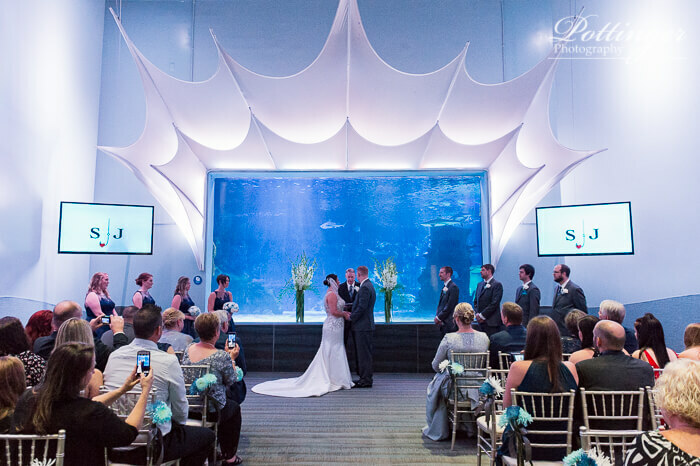 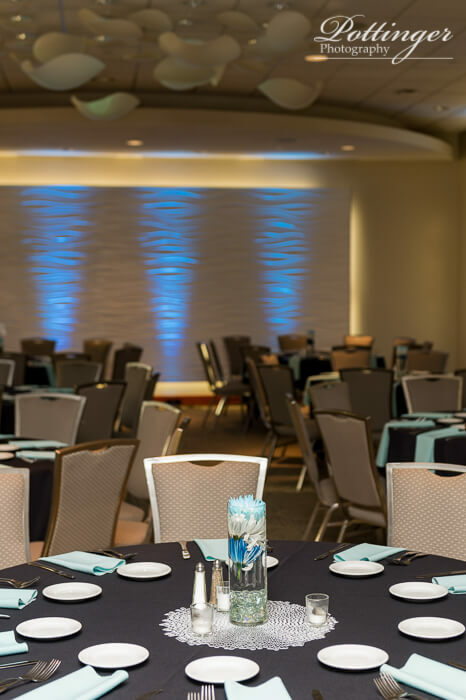 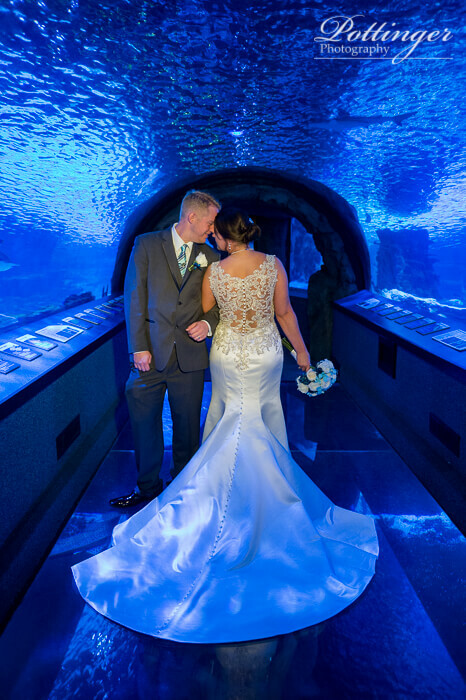 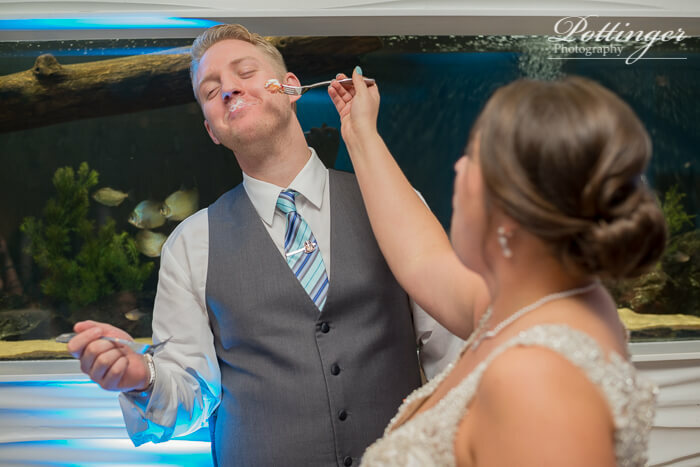 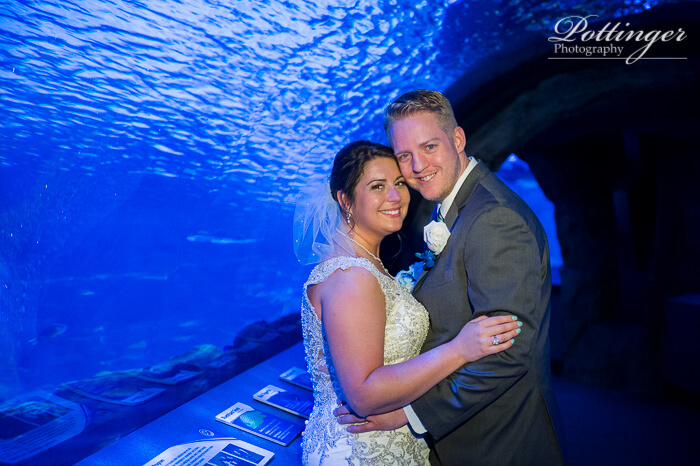 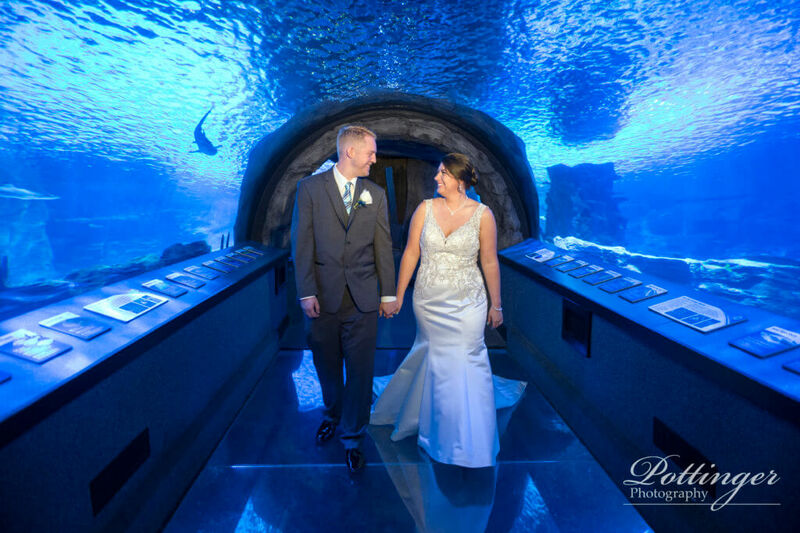 With a wedding at The Newport Aquarium you just know that everyone is going to have a blast exploring. 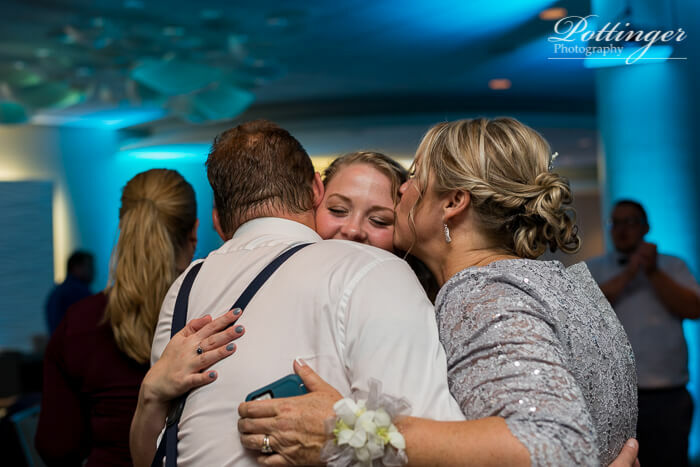 And this couple – well it is all about fun and family! 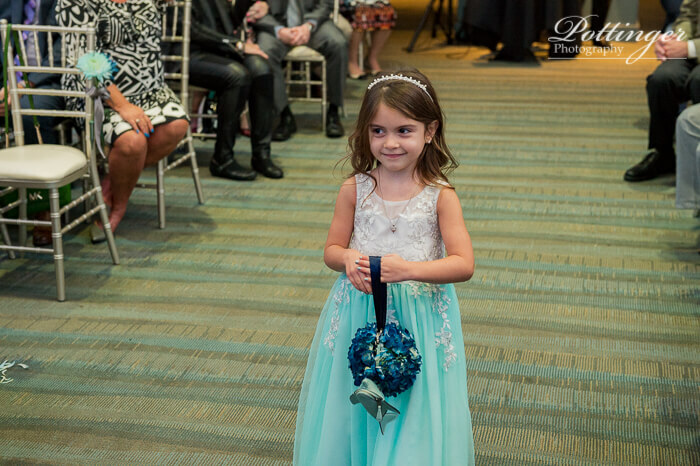 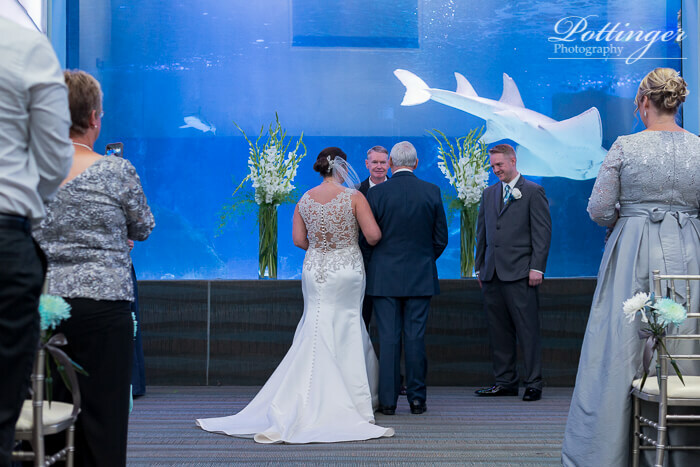 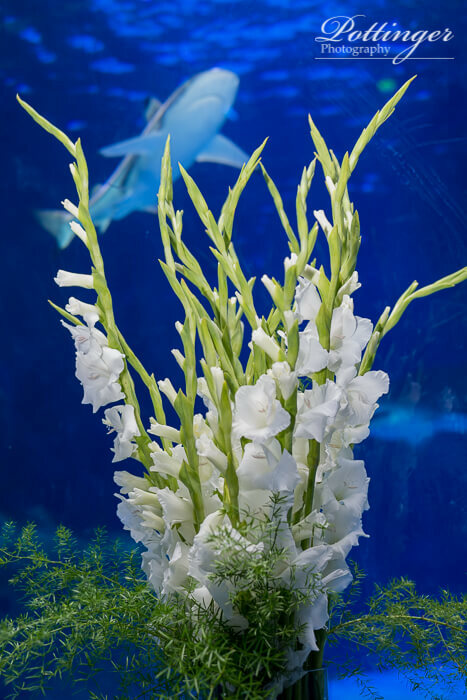 Some of my favorite moments were hearing the jaws music as a shark swam toward the front of the tank while the flowergirl was walking down the aisle! 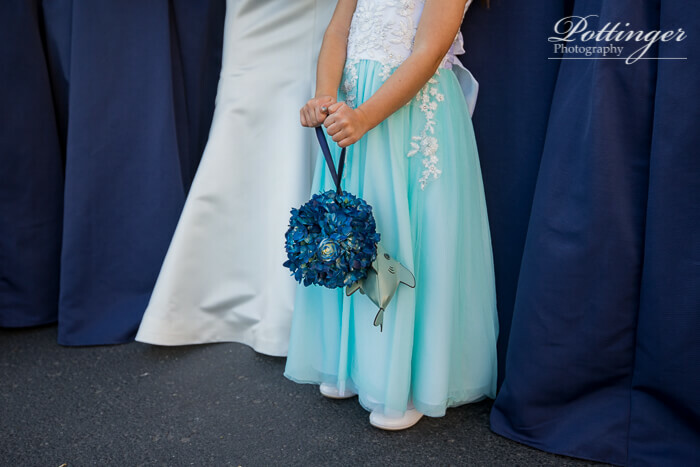 She carried the rings in a little shark coin purse. 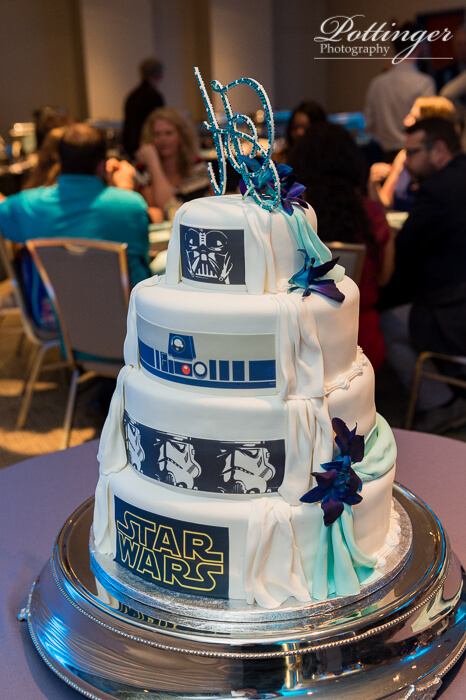 And the wedding cake may have had a dark side as a surprise to the groom. 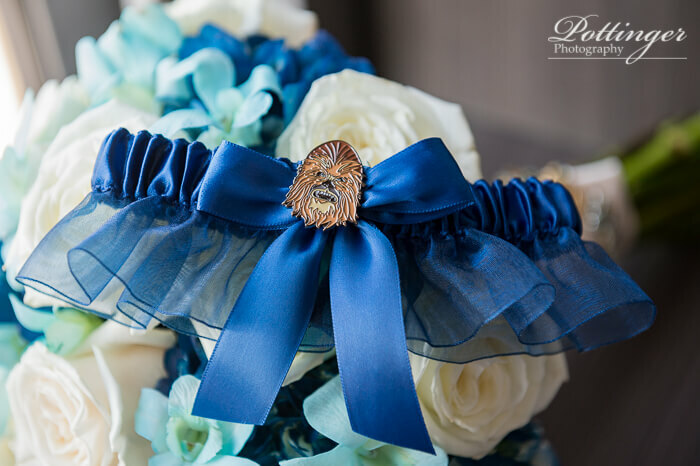 (Yeah if you can’t tell – he kind of likes Star Wars.) 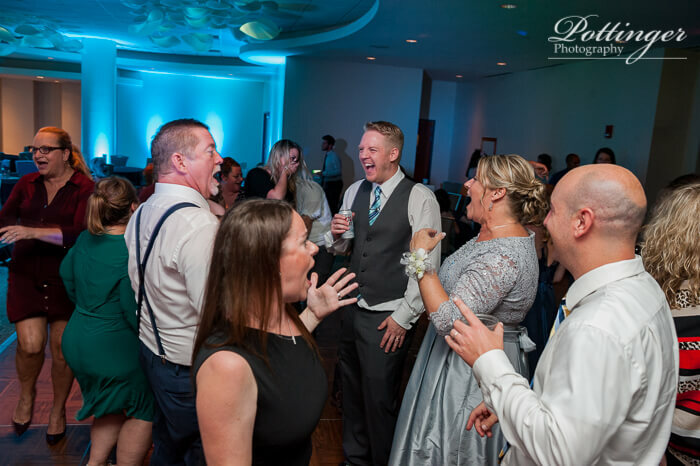 At the reception everyone let loose and it was so great to capture the candid moments. 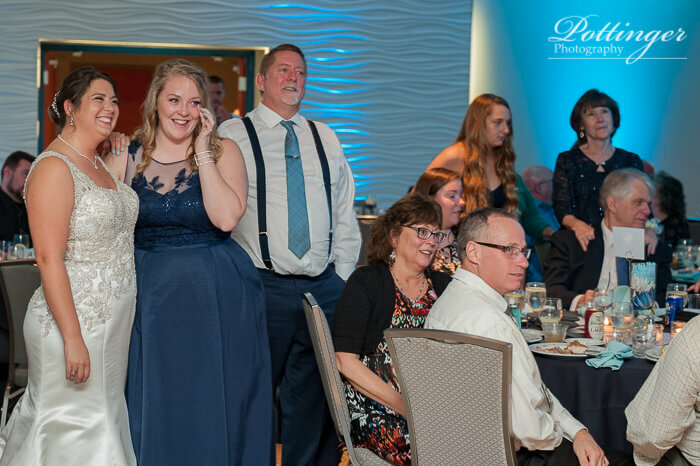 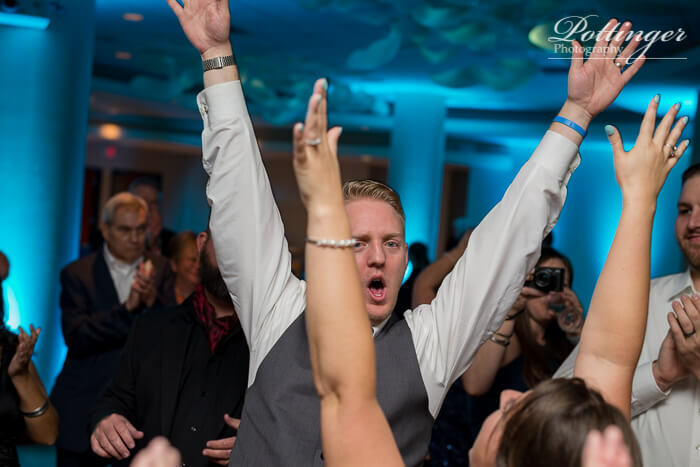 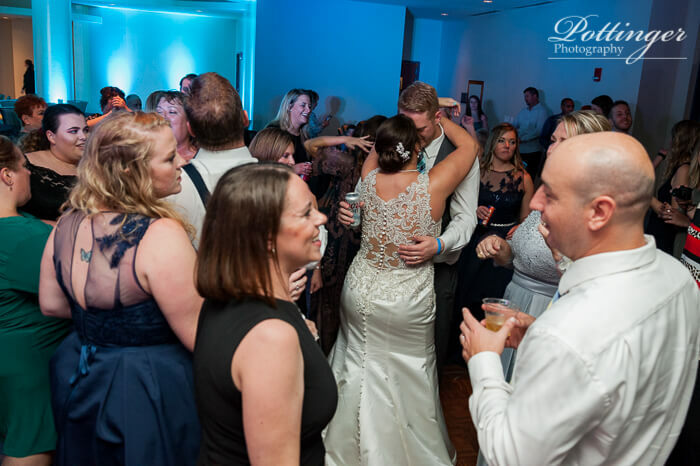 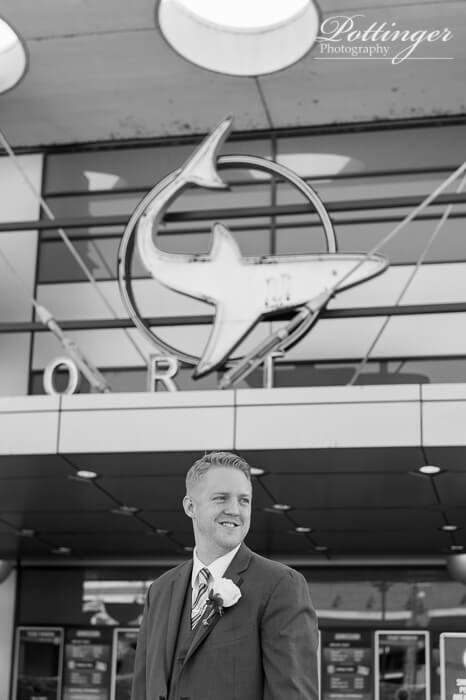 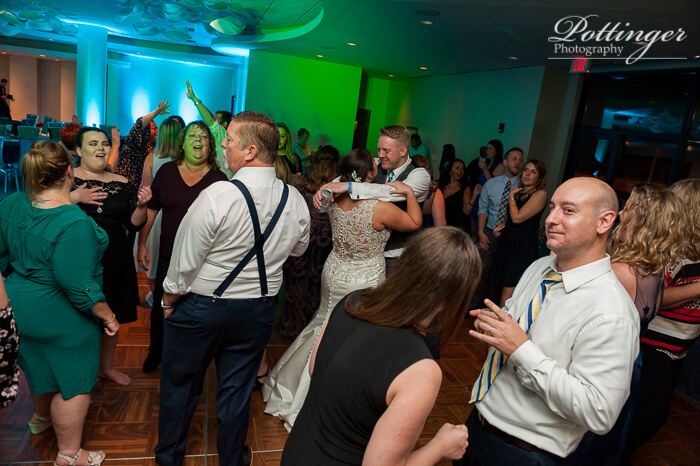 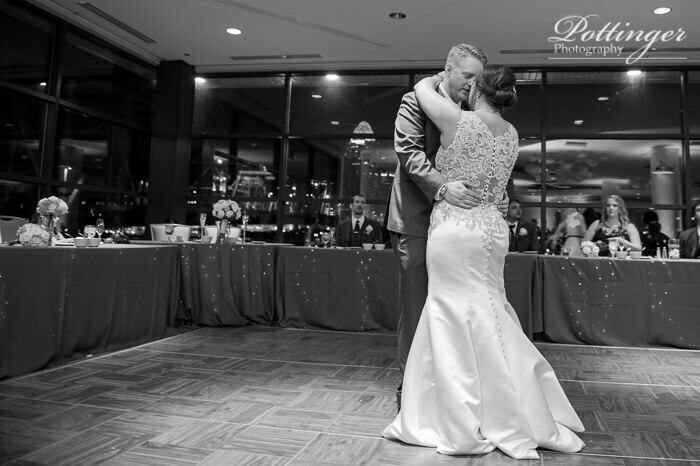 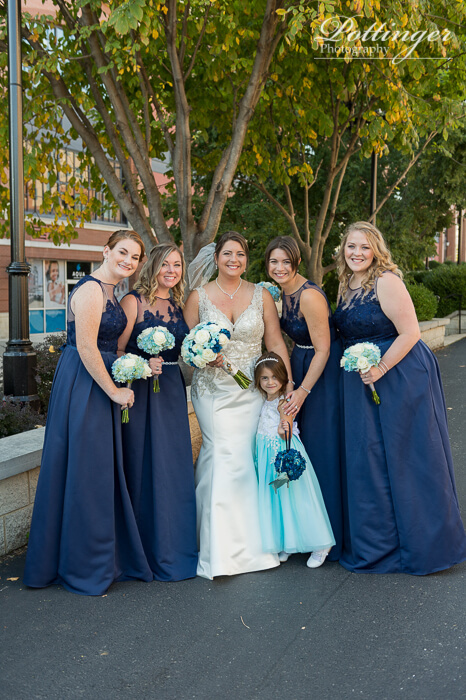 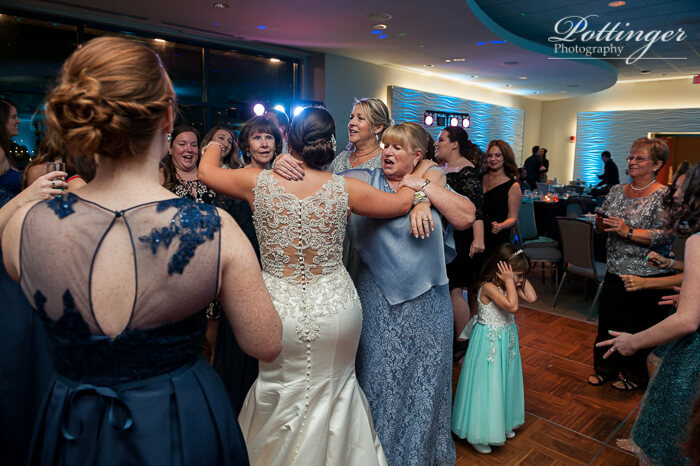 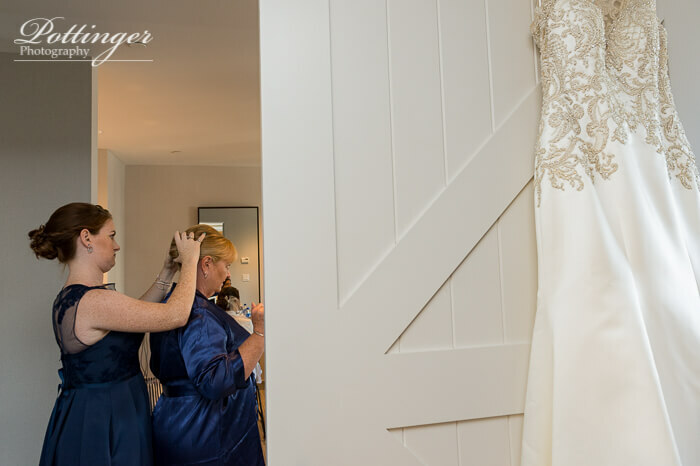 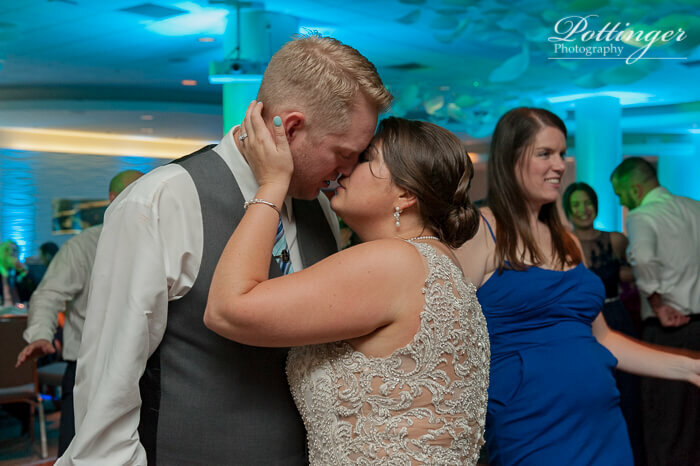 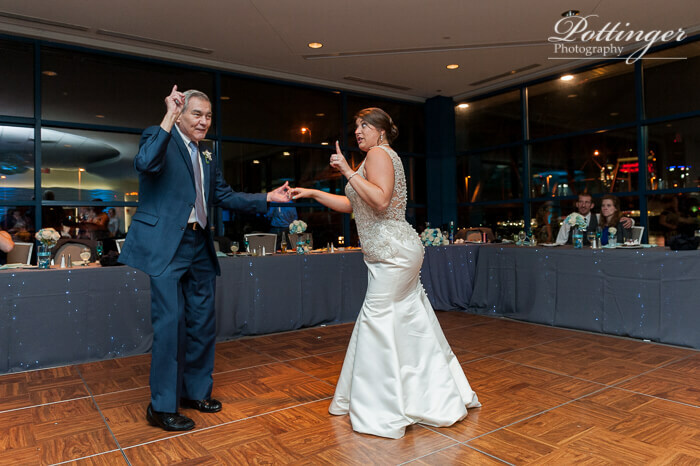 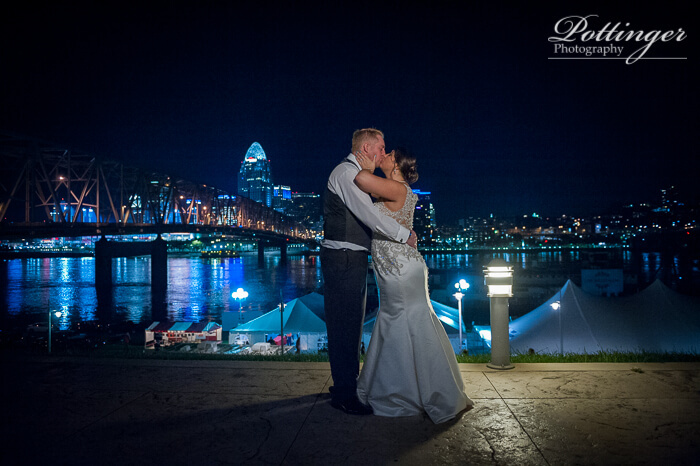 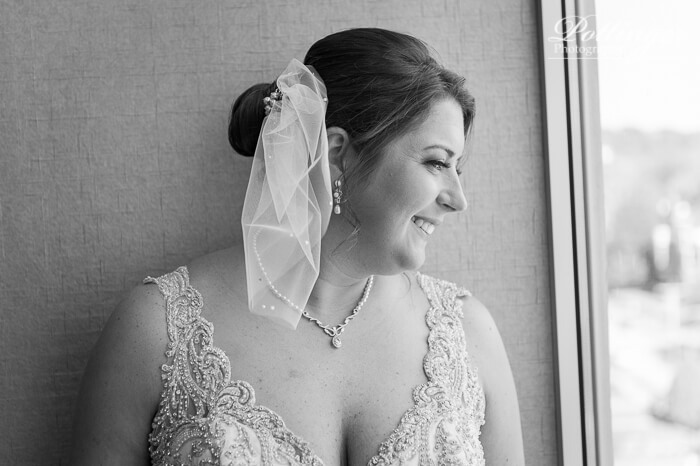 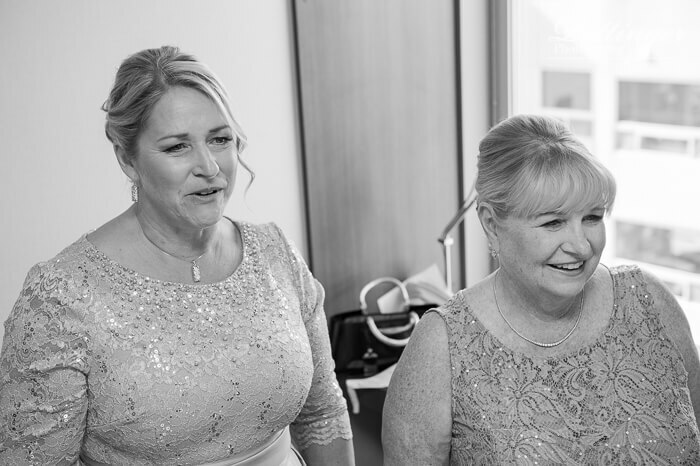 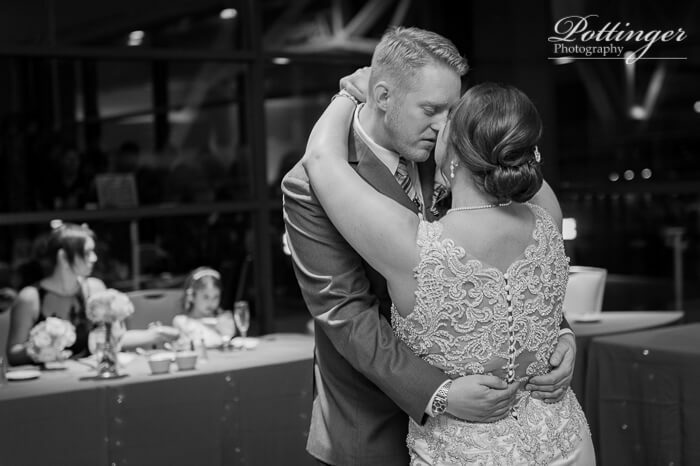 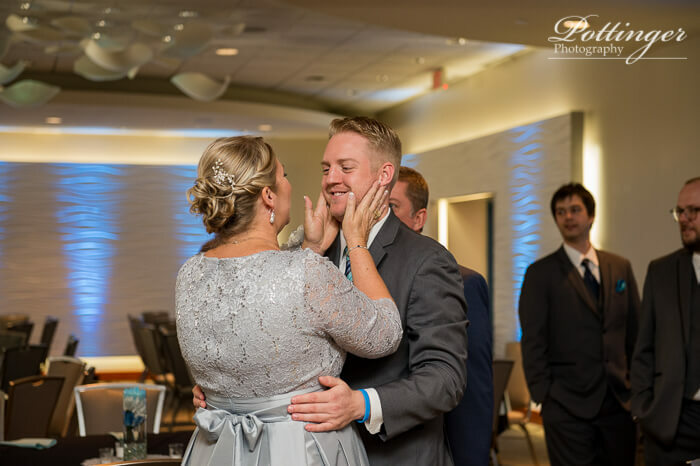 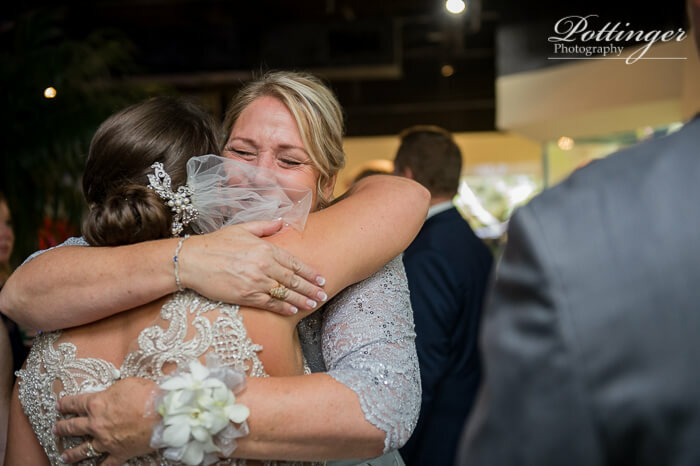 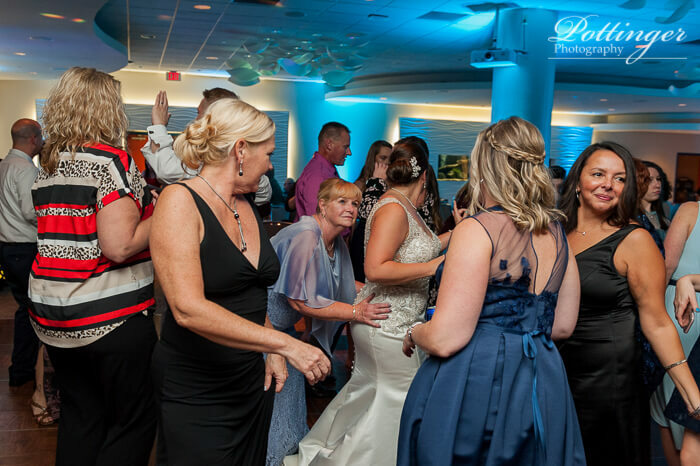 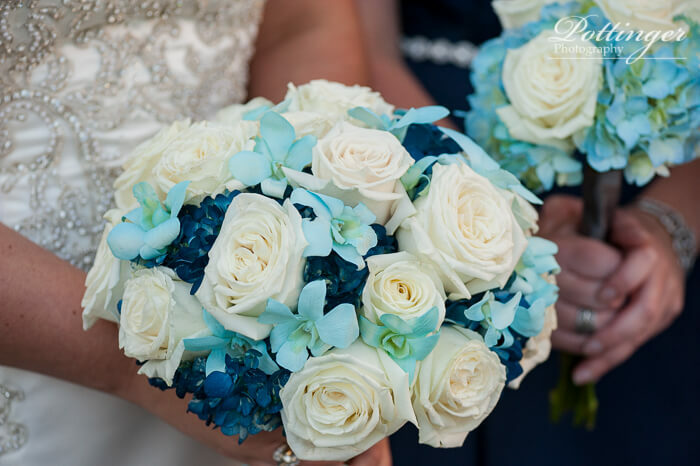 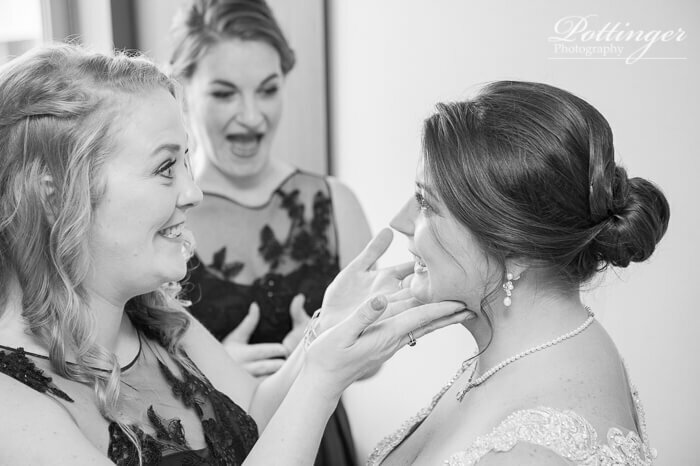 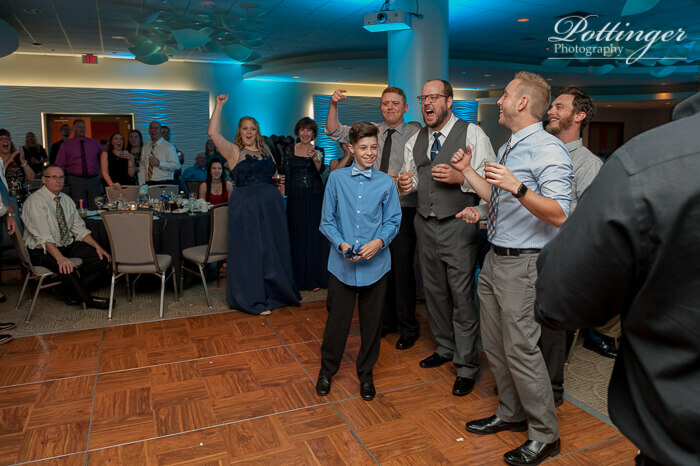 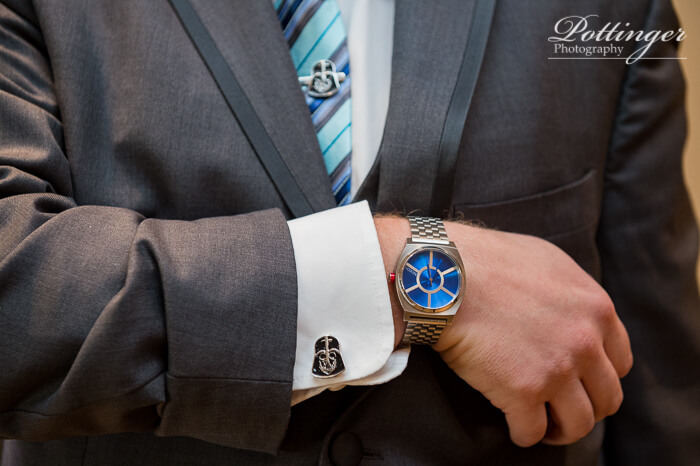 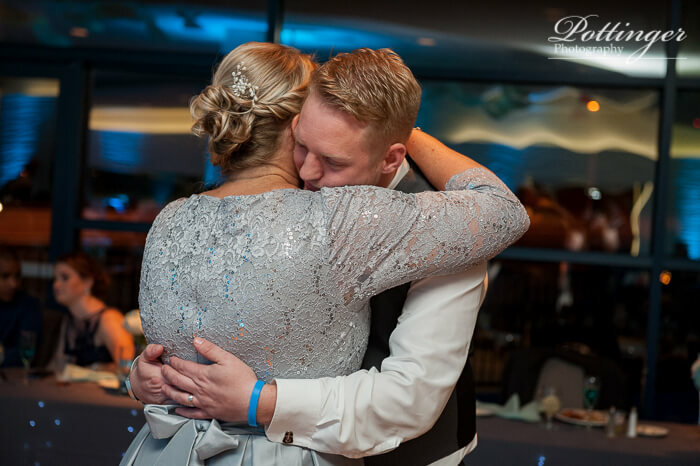 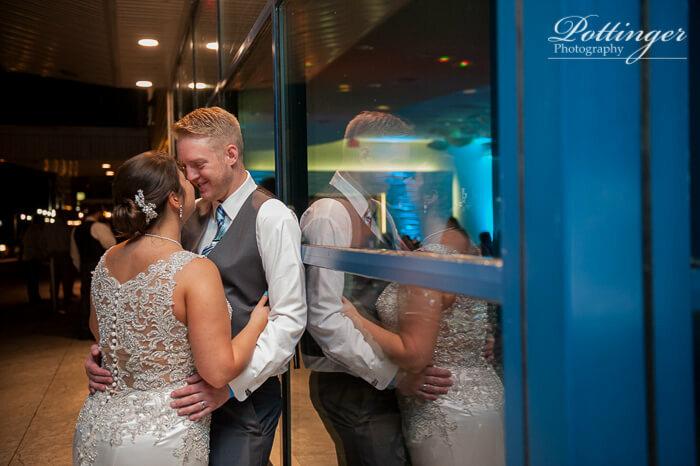 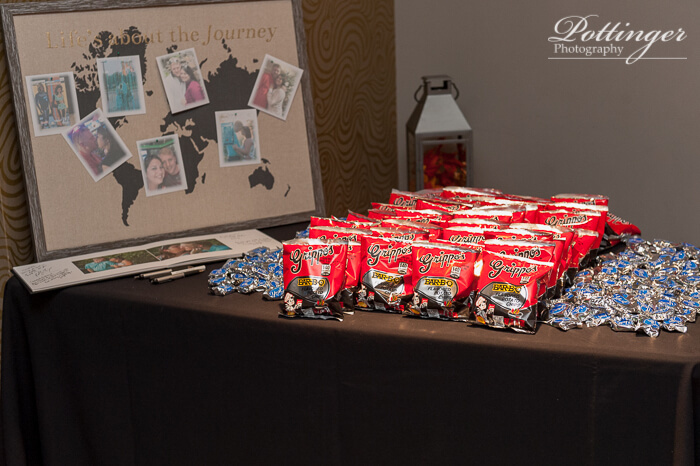 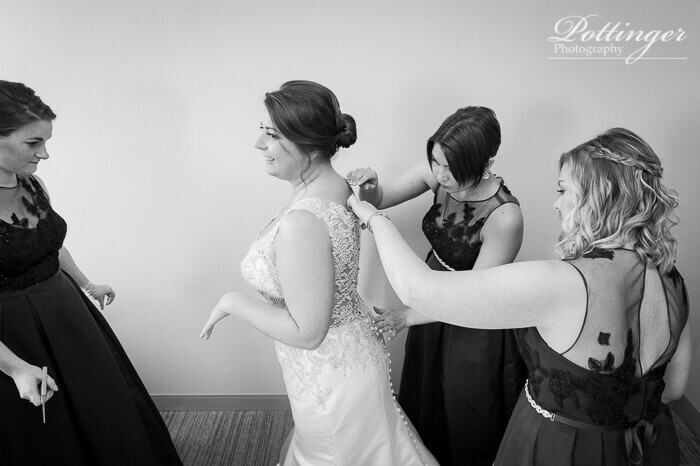 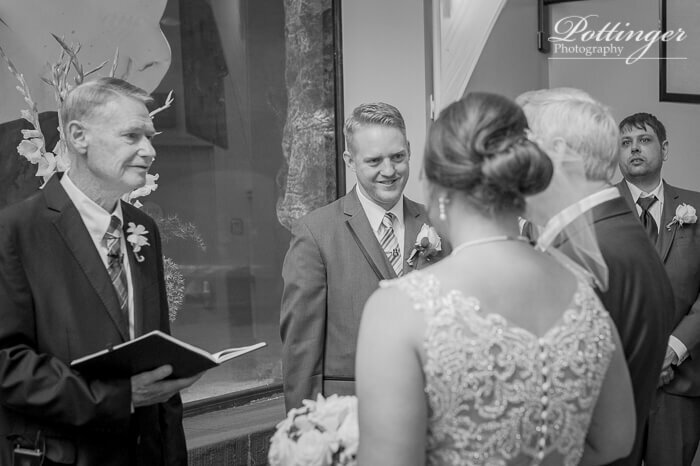 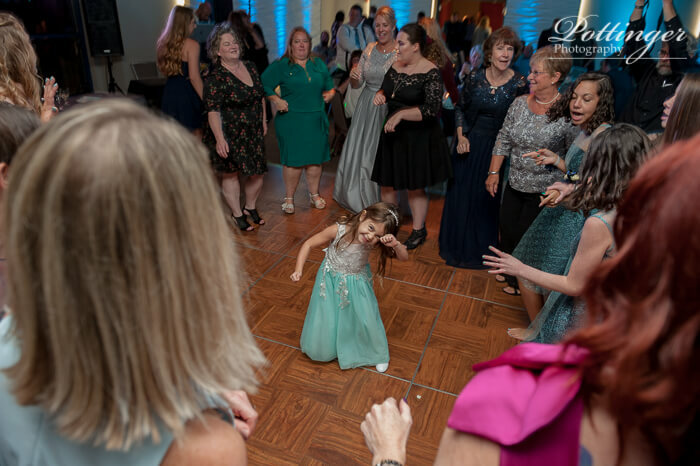 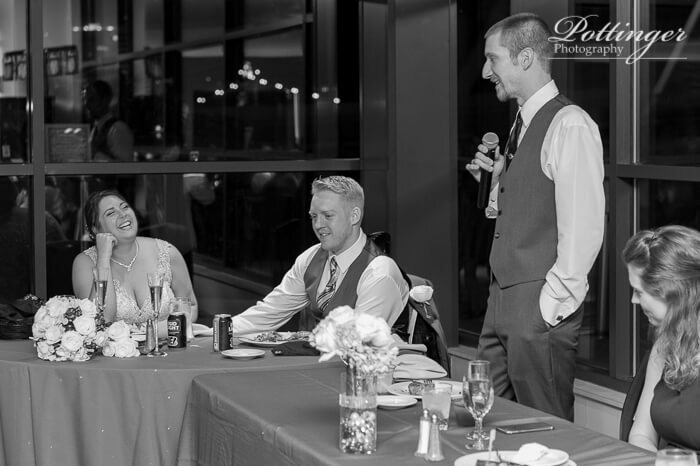 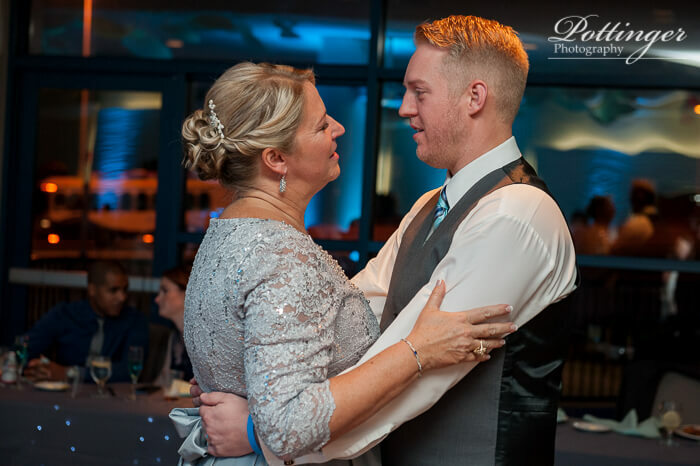 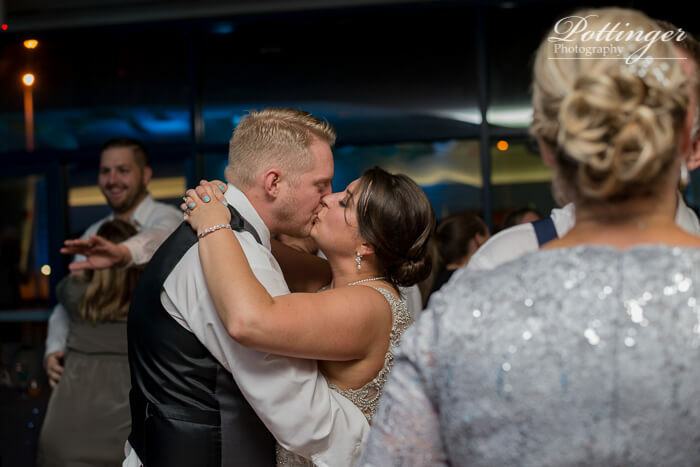 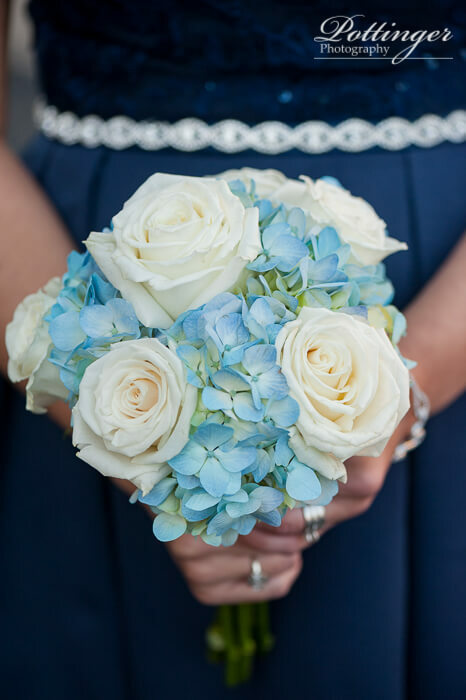 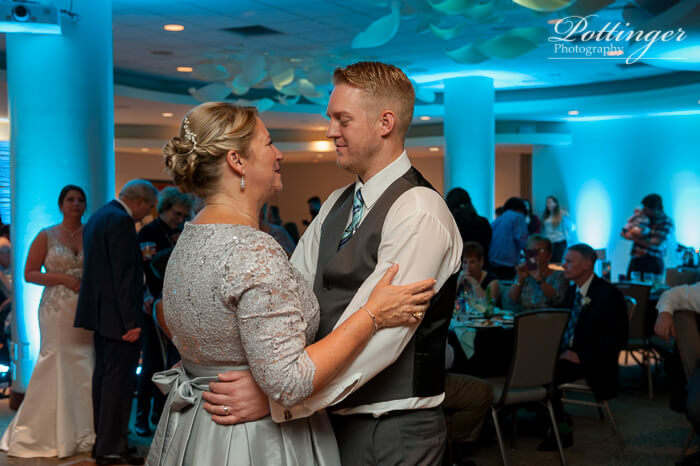 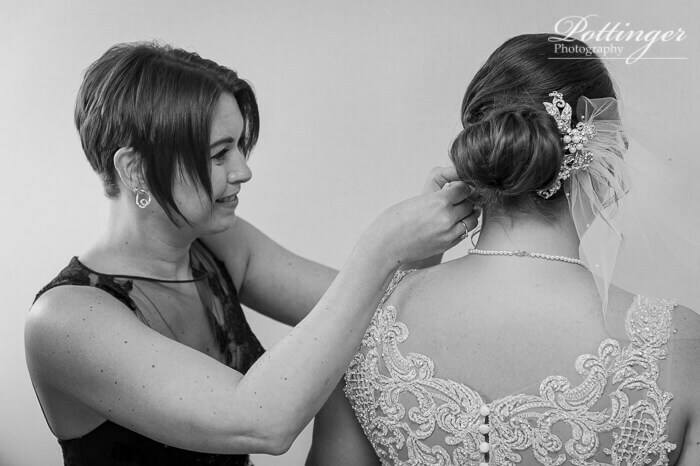 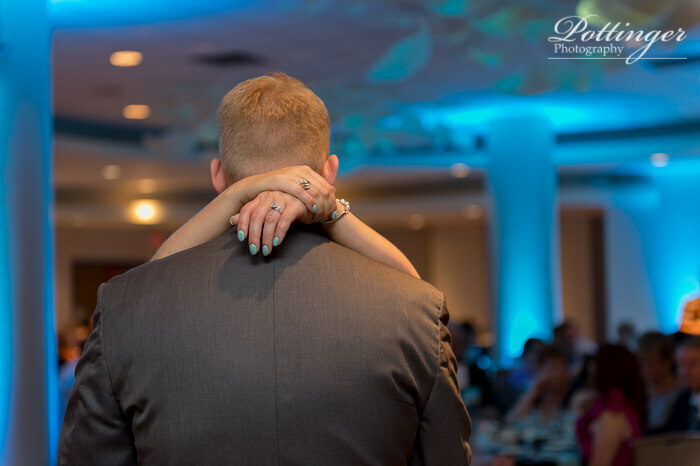 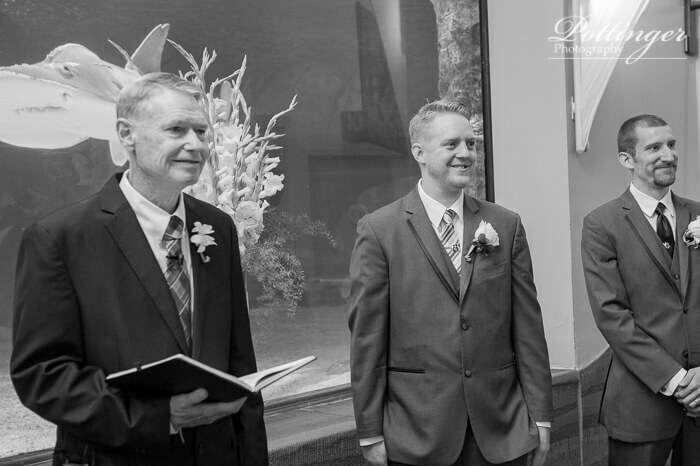 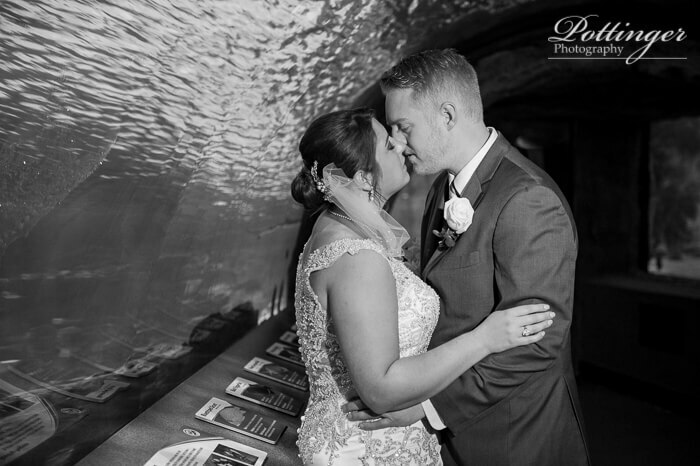 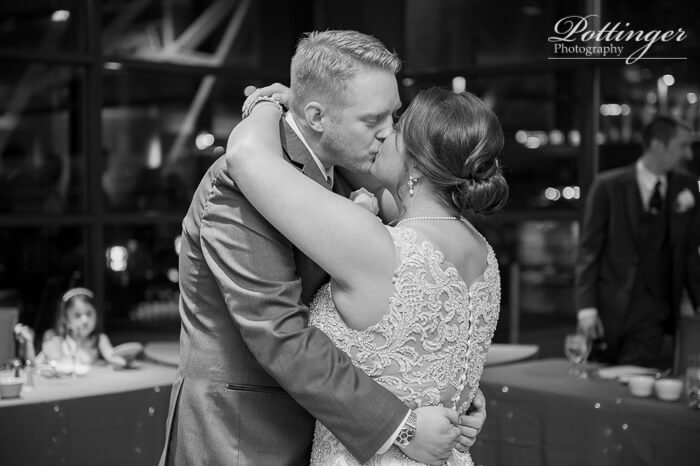 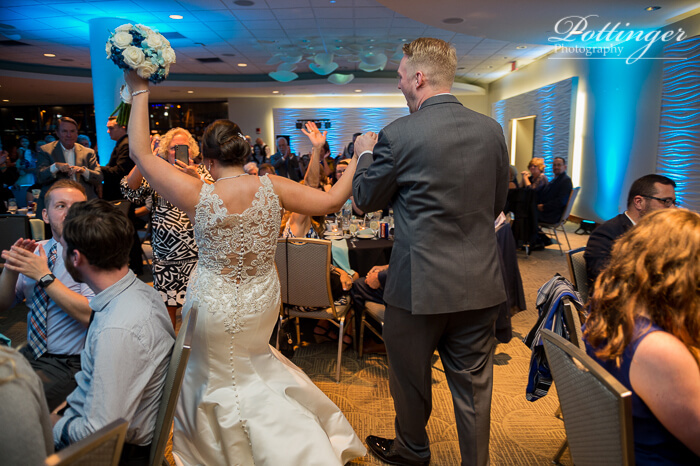 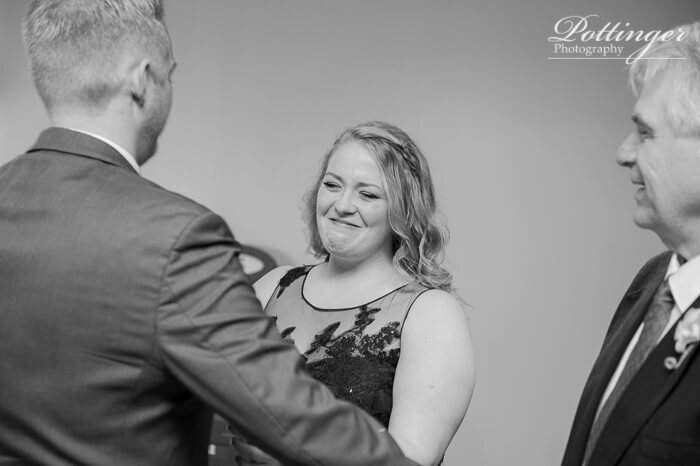 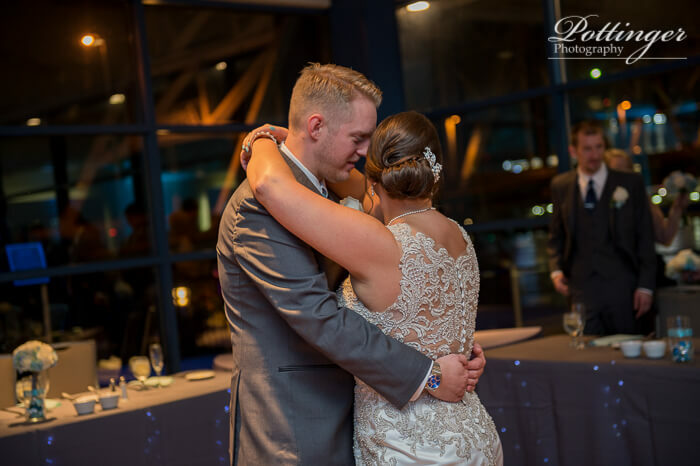 Stacey and Justin – thank you for inviting us capture all of the best moments!